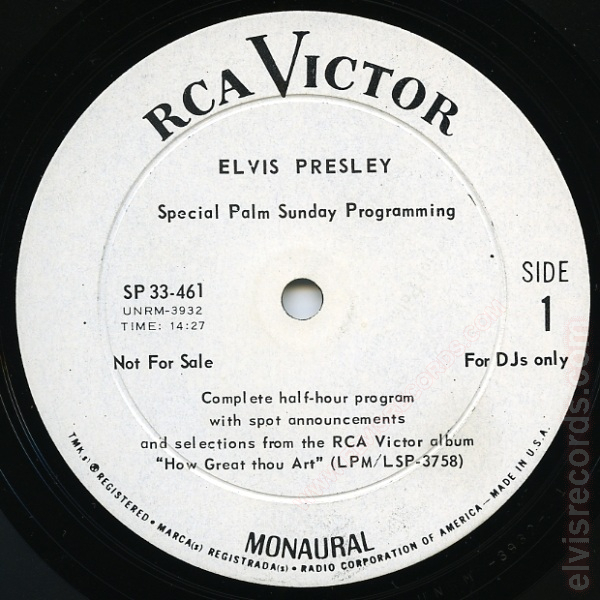 This two sided LP contains a complete half-hour program with spot announcements and selections from the RCA Victor album "How Great thou Art" (LPM/LSP-3758) and was released in a white cardboard sleeve. 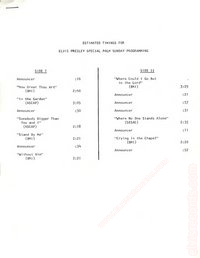 There is a bootleg, SP 33-461 Special Palm Sunday Programming (counterfeit), of this with significant differences. More than 300 radio stations in 50 states will broadcast a special 30-minute program of sacred music from Elvis Presley's RCA Victor album "How Great Thou Art." 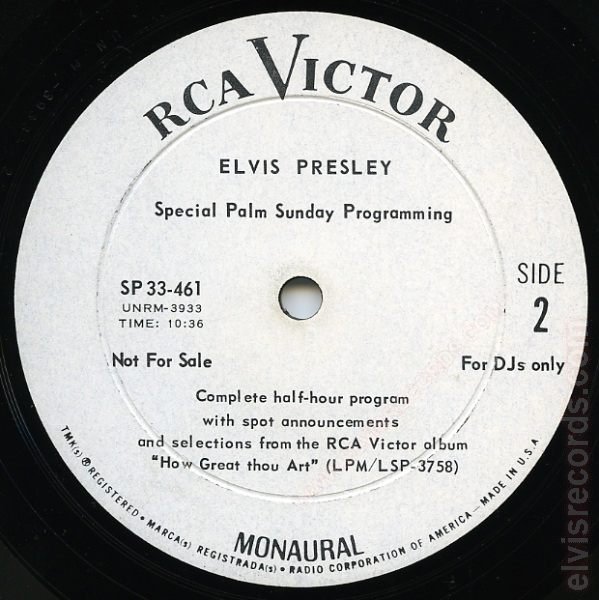 The Palm Sunday program is contained on a 12-inch special album, which includes a spot announcement for the national Red Cross. 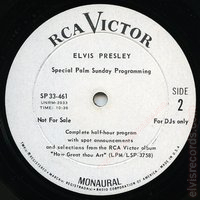 The program, which is being sponsored by Presley and Colonel Parker, his manager, also has an open time period for local charity plugs. Trade and consumer ads by Victor on the album will support the saturation programming. 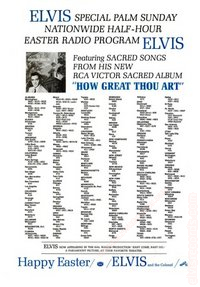 Ad mats of 600 lines on the new album, with space for local copy, are being made available for local and regional advertising to tie in with the Palm Sunday broadcasts. 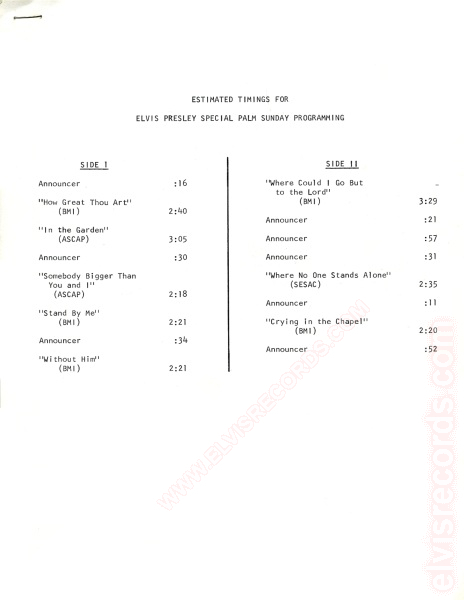 - Billboard Magazine, March 18, 1967, page 3.